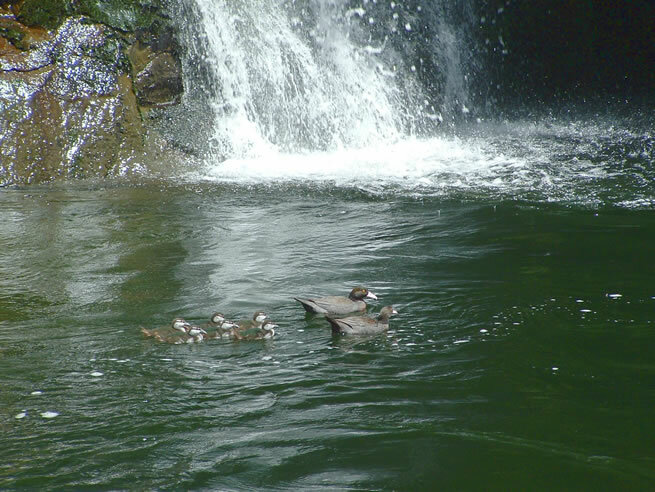 The Blue Duck Project Charitable Trust was set up by Tongariro River Rafting and Parklands Motorlodge in 2008 with the aim of increasing the number of Blue Ducks on the Tongariro River. The trust has subsequently assisted landowners with similar Blue Duck protection programmes adjacent to the Manganui-o-te-Ao and Whakapapa Rivers. Our work involves trapping introduced pests that kill Blue Ducks, primarily stoats, weasels and rats. All traps are regularly checked by volunteers and by staff of Tongariro River Rafting and Parklands Motorlodge.